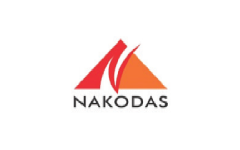 Business description - Nakoda Group of Industries is engaged in manufacturing of tutti fruity (Diced Chelory) also called as Papaya Preserve and canned fruit cubes which comes under the category of bakery products. The company is also engaged in processing of almonds which are imported from California and other Middle East countries by the traders in Maharashtra. It is also engaged in trading of sesame seeds, clove, cutpeel murabba, karonda, daalchini and toor daal. The company’s manufacturing units is spread over 5900 Sq. Meter in aggregate located at KH. 83 Mouza Bidgaon, Kamptee, P.S.K No. 33, Survey No. 83, Nagpur. At Unit- I manufacturing of canned fruit cubes is carried out. Whereas processing of almonds is carried out at Unit II. Nakoda Group of Industries IPO allotment status is now available on Bigshare Services' website. Click on this link to get allotment status.